Will try that. Here's hoping. Do you mean something like what Gnome 3 has? I am a big fan of it. Topic: Nemo - Larger video/pics preview. Nemo - Larger video/pics preview. Same with me. Very time I use vlc to play a video. Freeze. 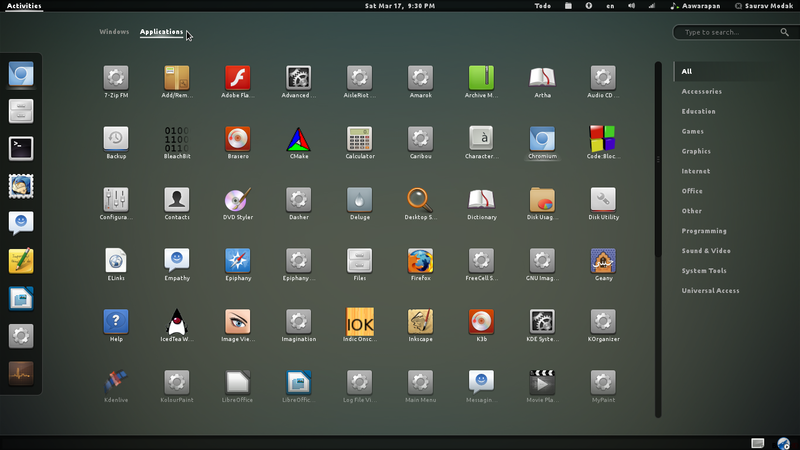 Unity and Gnome have login icons, but Cinnamon just shows a white circle. Hoping someone with more graphic skills then I can create one. Topic: Kernel 2.6.33 and Nouveau? So I just updated my kernel and want to use the nouveau drivers built in. How do I deactivate my nvidia drivers fro their website and use the drivers in the kernel? Running MInt 8, and trying to use MInt Upload. Nothing happens when I try to upload a file. This worked in Mint 7. I open Mint upload manager and there is no options to upload to the mint space I have been using before. Anyone knows what the settings are for the default mint space? Don't forget that floola(.com) is also an option for ipods. Doesn't work with touches or 5th gen nanos yet, but works fine with other ipod models. Its portable, has a windows versions as well. It works. But annoying to move to that dir every time I need to open Office. Any suggestions for a faster way to get this going? and now I have two openoffice installs, but only 3.1 loads. Topic: Mint Menu preferences...custom places not working? Re: Mint Menu preferences...custom places not working? Okay, " " works if its at the end of the path. But if the HD's name has a space in it like /media/BIG ONES/Downloads it still gives the error. /media/"BIG ONES"/Downloads doesn't work either. "/media/BIG ONES/files/Downloads" Where 'Big Ones' is a 2nd hardrive. My Hd is called 'Big Ones' and I get pop up errors saying 'Media/Big' not found and 'Ones/documents' not found.